Every generation needs its New Jerusalem, to transfigure the present and prefigure the future. So how and where could we build ours? Cities have always been so much more than just places we inhabit. They are places we invent, carrying within their familiar pattern of buildings, streets and spaces the seeds of transformation. Strip away the centuries of soot and cement and every city started out as a solution to some human problem: better defences maybe, or improved access to a transport route or extractable resource. The cities we think of as accidents of geography were experiments in stone; the ones we know are simply the ones that worked. Seen through this lens, urban innovation – the city-state religion of today's creative class – is just the latest iteration of this civic experimentalism. What marks out the current cohort of urban designers is that their focus tends toward the granular, not the grand. They attempt to innovate within cities through sidewalk labs, not by creating world capitals as experimental cities. 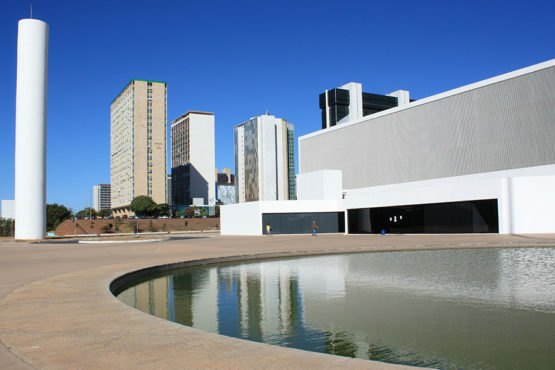 Oscar Niemeyer's Brasilia, a completely planned community of 3 million people, carved out of the jungle following a 1950s design competition, is exceptional. But the ideal of the urban utopia – from the Puritans' City upon a Hill to Robert Owen's New Lanark – as a place to prototype the future, even cultivate a new civilisation, has been a recurring fantasy in human history, as well as a stepping stone on the path to progress. So instead of continually redesigning the cities of today – doodling in the margins of history – is it time we set ourselves the more open-ended challenge of building the cities of tomorrow? A hundred years ago the world was abuzz with armies of architects – from Soviet constructivists to Edwardian town planners – changing the future with a stroke of a pen. Ebenezer Howard's garden city movement was a reaction to industrial squalor; Le Corbusier's Radiant City was projecting architecture as prophecy. Both were inspired by a deep desire for social reform: Howard by commonsense Fabian socialism and Le Corbusier by French syndicalism and the utopian socialist ideals of Charles Fourier (who had himself inspired Robert Owen). In America Frank Lloyd Wright – whose own take on the garden city, Broadacre, was intended as an antidote to Le Corbusier's motorised metropolis – was the third in this trinity of urbanists. Despite deep disagreements, they all shared a fundamental belief that new societies needed new kinds of cities, that new technology brought with it new possibilities and that the architect's role was not to decorate the world but to change it. In the postmodern period, this attitude – the disposition to dream and the belief in big-scale solutions as realisable alternatives – has generally been lacking. These designs, though, lost something in translation from drawing board to reality, from Chandigarh to Cumbernauld. Born in reaction to the chaotic and claustrophobic 19th-century metropolis, in some senses their visions, with their vast open spaces, pristine and dessicated, were anti-cities: bland and sterile, with an excessive sense of order and an overly finished feel. Their worst legacy was the 20th-century's cruel subtopia, the neobrutalist tower block, the soulless New Town and the housing estates of suburbia. By the 60s, critics like Jane Jacobs (author of the landmark study The Death and Life of Great American Cities) were able to take aim at what they saw as the megalomania of designing a city from scratch, using an intellectual wrecking ball: "A city cannot be a work of art," she said. Jacobs' most telling insight, perhaps, was to see cities as organised complexity – a continuously shifting mix of the old and the new. The clean-slate approach could all too easily degenerate into what Jacobs dubbed "an architectural design cult", whose rigidity and regimentation left little room for the kind of experiments, mostly serendipitous, that were the true catalysts of progress. Though Jacobs borrowed from Saul Alinsky's school of community organising in her battles to defend Greenwich Village from New York planning tsar Robert Moses, she was, as her friend and publisher Jason Epstein said, "a radical conservative, mistrustful of abstraction, suspicious of large ideas". By 1973 the Italian architectural critic Manfredo Tafuri, taking a page out of Jacobs' bestselling book, was able to declare urban utopianism dead. In collapsing our ambition from the macro to the micro, from city-scale to Jacobs' 'sidewalk ballet', it's difficult not to feel that something pretty vital has been lost. As her French contemporary, Henri Lefebvre, argued, "New social relations demand a new space". Otherwise, over time, urban life becomes encrusted by elitism, as in the gentrified streets of Jacobs' beloved SoHo; or nostalgia, as in the current vogue for new garden cities. Every generation needs its New Jerusalem, to transfigure the present and prefigure the future. So how and where could we build ours? The idea of the city as a laboratory is not new. Robert Park, the eminent Chicago sociologist, was the first to suggest it back in the 20s. Chicago was the quintessential 'instant city', even in 19th-century America's blank canvas of possibility. After the Great Fire of 1871 it became the continent's fastest growing community, experimental to its core. Park's mentor, John Dewey, didn't just study and teach pedagogy, he created a Laboratory School to trial and test new models of teaching in actual classrooms. Today's experimentalist leaders, from Barcelona to Medellin, have adopted the mantra of smart cities, urban life in a state of permanent beta. But 'living labs' have been more powerful as metaphor than as material reality. Instead of the City Lab – the retro-fitted, downtown demonstrator – perhaps it's time to build the Lab City, a test-rig prepopulated with 21st-century tech – Internet of Things, new materials, sensor networks, open data, 3D printing and driverless cars – as the Universal Demonstrator writ large. This needn't be like the planned cities of old, clinical and sterile like Canberra. Think of it more as a programmable city, a creative synthesis of Jacobs' ideas of improvisation and the Utopians' grands projets. 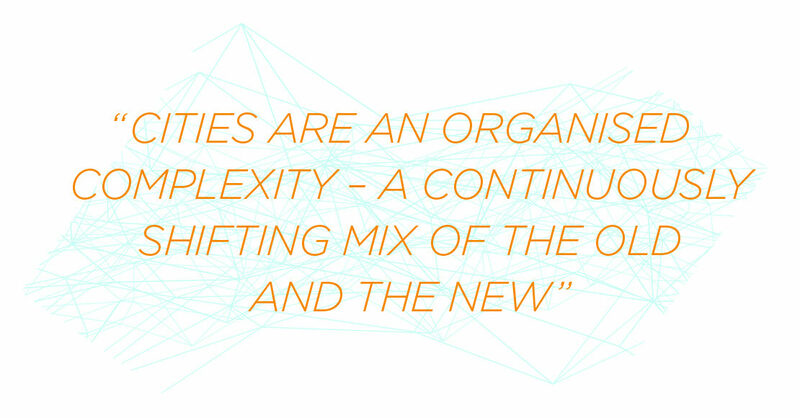 This adaptive city would be designed to be self-organised, evolvable and digitally interconnected. It would be a place of institutional experimentation, of continuous reflection, assessment and readjustment: a city planned, not on a grid-like pattern but through an infinite set of feedback loops, where every aspect of city life is a testbed of innovation, every school a 'laboratory school'. 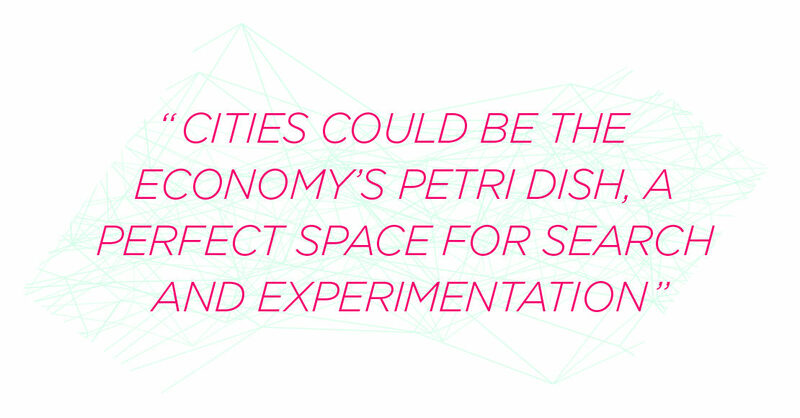 These cities could be the economy's Petri dish, a perfect space for search and experimentation, with ultra-low barriers to entry, a purpose-built R&D ecosystem, city-wide open data and frictionless field trials, a haven for early adopters and a ready-made route to replicate proven ideas. They could become the ultimate in what economists Gilles Duranton and Diego Puga have called 'nursery cities', nurturing infant industries before shipping them on to mature elsewhere. In style and form, the experimental city would avoid the sense of permanence that pervaded the earlier Utopian ideal. Malleability and fluidity would be key to the design ethos, drawing on avant-garde ideas of dynamic architecture like our own Cedric Price's Fun Palace: a building capable of being transformed in response to the time-based wishes of its users. It was the template later used by Renzo Piano and Richard Rogers for the Pompidou Centre. Hooked on labs Gabriella Gómez-Mont tackles the problems of Mexico City Are we on the cusp of a golden age of experimentalism or have we reached Peak Lab? Beyond adaptability, in aesthetic and cultural terms, an experimental city would represent a new optimism. It could draw upon the Neo-Futurists' fusion of art, technology and biomimicry with its sweeping curves and algorithmic patterning. There might also be a nod in the direction of solarpunk, an Art Nouveau nouveau, all stained glass and solar cells, half hippy, half hacker, a techno-permaculture flowing with craft cider and raspberry pi. Combining the high density, close proximity and vibrancy of urban living with ecology, rejecting the empty uniformity of garden city and New Town alike, these eco-cities – to use a phrase first coined by Berkeley professor Richard Register in 1975 – would combine the architectural and the ecological in a new symbiosis, like Paolo Soleri's prototype urban laboratory Arcosanti, built in 1970 in the Arizona desert. Micro-alternatives like this continue to be built throughout the world: India's Auroville, presented as a New Age 'universal city', the Open City Amereida, built consciously on shifting sands in Ritoque, Chile, not forgetting a growing global network of eco-villages. But most of these experiments are, like Fourier's 'phalanstaries' or Owen's cooperative communities, small-scale, marginalised and often short-lived. Auroville was originally planned to be a city for 50,000, but its current inhabitants number just under 2,500. So far it is the United States, with its mixture of frontier spirit, homesteading tradition and City Beautiful movement, that has come closest to turning the 'future city' vision into tangible reality. In the late 60s the respected scientist and university dean Athelstan Spilhaus proposed the creation of Minnesota Experimental City (MXC), a new planned community for 250,000 people on a 73,000-acre site in northern Minnesota. In 1971 the governor of Minnesota signed into law a bill to create the Minnesota Experimental City Authority. It's important to note how close this came to actually happening. The skilful advocacy of Spilhaus and his co-promoter, the newspaper proprietor and civic philanthropist Otto Silha, aided by a phalanx of experts, meant that it garnered the support of leading politicians, key institutions like NASA, plus corporate backing from the Ford Motor Company and 3M Corporation. It's impressive to see how prescient Spilhaus's futuristic vision turned out to be. MXC was to be a car-free city, with transport provided by a combination of light rail and driverless pods (similar to the ones currently being tested in Milton Keynes); it would have a partially climate-controlled area covered by Eden Project-like geodesic domes; there would be no schools as such, but a range of physical and virtual centres to encourage lifelong learning for everyone. 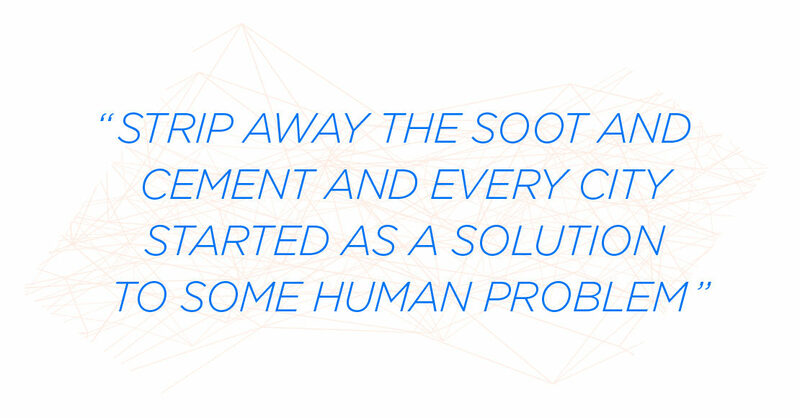 The city would be an environmental pioneer from waterless toilets to wind farms, with zero waste and biomass energy. A system of banking and shopping from home, telemedicine and video-conferencing was planned through an early forerunner of the internet. Light-touch regulation, social inclusivity and a volunteer spirit would make this a perfect forum for the interchange of ideas. Spilhaus stressed throughout that this would be a modular rather than a model city, built deliberately using precast or preconstructed parts to allow for energy-efficient assembly or deconstruction, a city in a state of constant flux. Continually reinventing itself it would act as a "national proving ground for social, economic and technological innovation" that would then be exported around the world. Sadly, it eventually foundered on local environmental opposition and a cooling of the political climate following the 1973 oil shock, which made its estimated cost (around £17bn in today's money) difficult to justify. The fact that few of us will have heard of MXC perhaps is down to it being overshadowed by a glitzier rival that did at least get built in miniature. 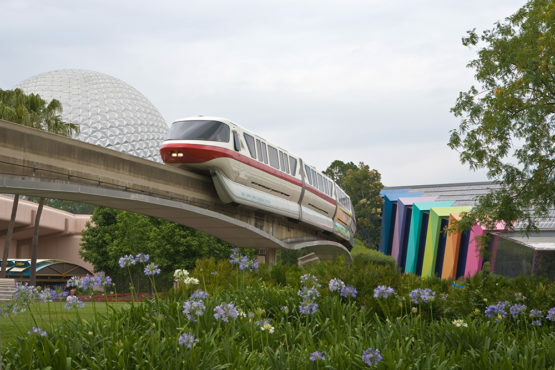 In February 1967, two months after Walt Disney's death, his company announced that it would be going ahead with his last and possibly most ambitious project, the creation of a City of Tomorrow on land it had purchased alongside its new Disney World resort in Orlando, Florida. It's easy to see why the idea of building a city from the ground up lost its intellectual lustre. But that desire to embody the new on Virgin Land is too deep a trope to disappear altogether from the American imagination. So 50 years after Spilhaus's failure, a new, more streamlined scheme – its budget is reportedly $1bn – led by the telecoms and tech firm Pegasus Holdings is reported to be waiting on the commercial licences that will allow work to begin. CITE (the Center for Innovation, Testing and Evaluation) will be a new, medium-sized city built in the southern New Mexico desert for around 35,000 residents; except – and here's the catch – no one will actually live there. It will have all the infrastructure of a real town – a 15-square-mile, full-scale model with houses, a hospital, schools, parks and a police station all dedicated to experiments in transport, construction, communications and security to develop new technologies aimed at shaping the future of the urban environment. It will feature specialised zones for developing new forms of agriculture, energy and water treatment, with an underground data collection network providing detailed, real-time feedback. It's an intriguing idea, and there does appear to be a market for this kind of urban research station. But you can't help thinking they're missing a trick by not at least housing all the staff doing the testing to create a partially populated zone. We've known since the Tavistock Institute studied innovation – literally at the coalface, among English miners just after the second world war – that technology is best seen as a 'socio-technical system': it's only when people interact with it, subvert, repurpose and break it that we really know whether and how a new technology might work. A city without humans is more simulator than testbed. This is what makes current proposals by Living PlanIT such an intriguing prospect. The global tech firm plans to house 225,000 people, mostly its own employees and their families, on the outskirts of Porto. Living PlanIT has already installed its Urban Operating System in a variety of locations around the globe, including London City Airport; and plans to embed 100m real-time sensors, using precision technology developed originally for Formula One. This will make PlanIT Valley, according to Will Doig of Salon magazine, not so much a smart city but a sentient one, a place where houses report their own fires; and lights and air conditioners switch on and off as you enter and leave a room. The plan is for the city itself to be a living laboratory, testbed, incubator and demonstration centre all at once. Its underlying, modular structure incorporates prefabrication and plug-in geometry. It is designed to be replicated rapidly across the world. But as yet PlanIT Valley remains a pipe dream, with strong investor interest but continually delayed completion dates. The same applies to CITE, though it's claimed construction will start this year. Are these future cities in the west, like the soon-to-be centenarian Jacque Fresco's Venus Project in rural Florida, condemned to be no more than beautifully articulated dreamscapes? Might it be easier to build such 'insta-cities' in those BRIC or emerging economies where a combination of cheap land, ballooning demand and top-down decision-making can ease the path to progress? The problem – and this goes for the technocratic narrative of smart cities in the west too, as Tom Saunders and Peter Baeck of Nesta (which publishes The Long + Short) have argued – is that without involving the energy, ideas and initiative of smart citizens from the bottom-up, top-down means dumbing down; with predictably poor results. Nowhere is this truer than China, where dozens of eco-cities are under construction, with 200 more said to be on the way. Some see this as a dangerous distraction from the infinitely more pressing task of detoxifying China's existing mega-cities. And there is no doubt that that the eco-prefix – along with smart, low carbon, green, knowledge and tech – is often a marketing ploy to attract investors and residents. Sometimes even this doesn't work: China's original eco-city, the Caofeidian project, never got finished at all. Now it's a $100bn ghost town . But there has been some progress at least. 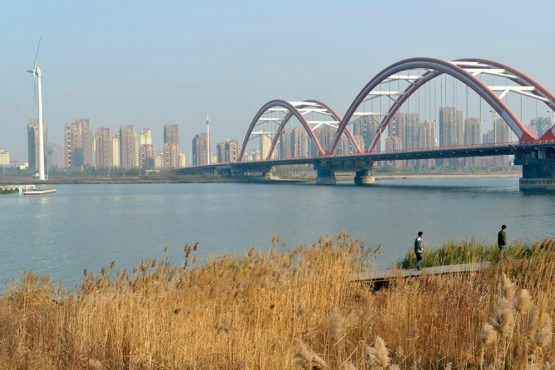 Tianjin eco-city, a joint venture between the Chinese and Singaporean governments built on formerly polluted land 35 miles from Shanghai, has so far recruited 20,000 residents towards its 350,000 target. In the UAE the Masdar project, dubbed the world's first carbon-free city, is now home to 250 companies and a driverless car, which snakes its way through a citadel of sustainability designed by Norman Foster. It was planned for a population of 40,000, though only a few hundred residents have arrived so far. As the eco-city brand perhaps begins to lose some of its sheen, rival concepts are on the rise. India is planning 100 'smart cities' over the next decade. Korea has built two 'U-cities' – u for ubiquitous computing – at Songdo and Sejong. 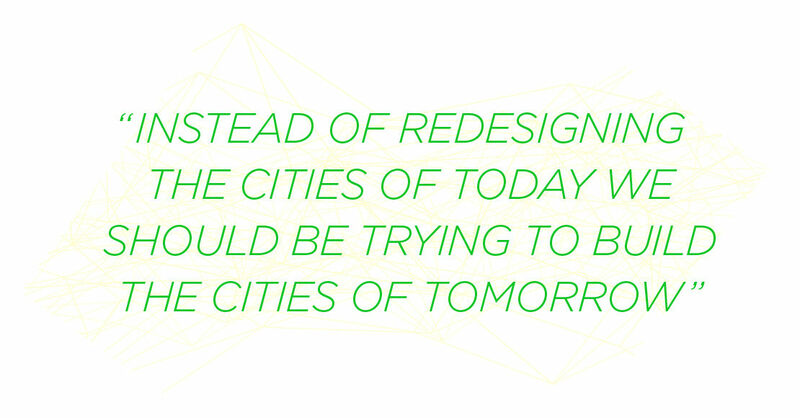 There are perhaps two fundamental problems with the current wave of future cities. Firstly, these 'cities-in-a-box' often remain hermetically sealed from their hinterland and the wider world, like the wholly private metropolis slated for Nigeria's $6bn Eko Atlantic site. On their own they will never be able to cope with the scale of the challenges their societies face – whether ecological, demographic or social. Their true value is to act as learning laboratories for all cities, new and existing, more nodes in a network than self-contained satellites. Secondly, most of these cities are built using a fixed template reflecting groundbreaking technology at the time of construction; but such is the pace of technological change that this snapshot vision of the future gets outdated pretty quickly. 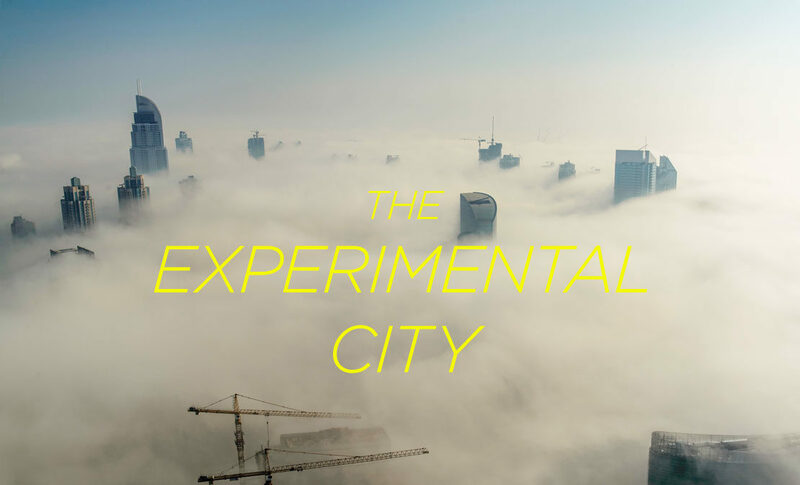 The key to building a truly experimental city lies in purposely creating the city-as-a-platform, its physical infrastructure, its urban fabric, its civic life designed to be continuously updated, augmented and disrupted. There are some hopeful moves in this direction. Scientists from the University of Minnesota have been given the green light to build a demonstrator in rural Jiangxi province: their objective is a genuinely pollution-free eco-city, which builds on notions of biosystems, bio-engineering and bioregionalism to create a flexible, distributed model adaptable to local conditions. Russia is proposing an 'innovation city' at Skolkovo, 30 miles from Moscow (drawing on a tradition which saw the creation of the world’s first 'science city' in Akademgorodok, 2500 miles east of the capital in 1958. Nobel prizewinner Paul Romer is promoting his idea of the Charter City – a new city with lots of regulatory freedom – though he has fallen out with Honduras, the first nation that says it wants to have one. So what about a future city here in the UK? It's been almost 50 years since Britain built a new town of any scale, so the chances of success look slim. A proposal at the turn of the millennium for a new satellite town in Somerset – New Bath – which combined contemporary architecture with a Renaissance pattern of narrow alleyways and pedestrianised piazzas, failed despite a pantheon of backers including Frank Gehry, Richard Rogers, Sir Peter Hall and even Peter Gabriel. Yet there are a few reasons why the future could still be built in Britain. 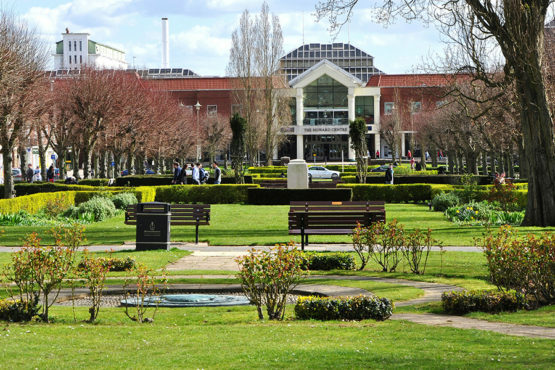 The first, paradoxically, is the revival of interest in the garden city. The core idea of releasing the pressure on the housing market – which is making London a hypercity beyond the reach of the young – has wide political support, and detailed proposals on funding mechanisms were highlighted by the various respondents to the recent Wolfson economics prize on this theme. Creating a new concept of an 'innovation city' as our version of the New Town could rebalance the retro-ruritanian feel of the garden city narrative. Living in a lab-like community won't appeal to everyone, but it will to many, as the oversubscribed application to join Owenstown recently found: the new cooperative town was proposed for building alongside New Lanark, but was rejected on planning grounds. We are also living through a period of investment in grand projects and imaginative thinking, from HS2 to the 'northern powerhouse'. George Osborne has unveiled City Deals throughout the UK, the latest, in principle, for Cardiff, Inverness and Aberdeen. How might the Treasury react if the Cardiff Capital Region responded by saying it wanted to build the UK's first 'innovation city' on land between Cardiff and Newport, dragging the UK's arc of innovation, which currently stretches from Cambridge to Cheltenham, westward over the Severn? Like other innovation districts the world over, this would cluster cutting-edge research facilities in an area that was liveable, walkable, bikeable and had good transport links. But – and here's the opportunity to stand out from the identikit innovation quarters of a thousand Ideopolises – the new settlement built to house commuting-resistant researchers would become their own open-air laboratory. Given it its own mainline rail station – a Cardiff Parkway – with direct, high-speed links to London and the airport, and 'inward innovation' might become as big a factor in local economic renewal as old-style inward investment proved a generation earlier. The Universal Exposition, historically known as the World's Fair – which began with the Great Exhibition of 1851 – hasn't been back to Britain in over 150 years. The British Government has suggested it will support a UK bid for Expo 2025, and London is gearing up to follow its Olympic success. But surely far better than simply pouring the required £15bn into an already overheating capital, would be to do something genuinely innovative and use the temporary city created for the exhibition as the foundation of a city for the future. This is a theme that has long been central to the history of the Expo as a sort of open studio for world architecture, city planning, technology and design. The Beaux Arts ornamentalism of Daniel Burnham's White City at the heart of the Chicago World's Fair became the template for civic centres everywhere, from DC's National Mall to Cardiff's Cathays Park, prompting a campaign to preserve it by the English journalist William Stead. The 1939 New York Fair of the Future's theme was Building the World of Tomorrow; and it featured at its heart General Motors' Futurama, a hugely popular 18-minute ride designed by Norman Bel Geddes and later immortalised in the opening sequence of Matt Groening's cartoon. It wasn't until the Montreal Expo in 1967, though, that the potential for the exhibition to leave a lasting legacy, reshaping the city through permanent structures not temporary pavilions, was properly explored. 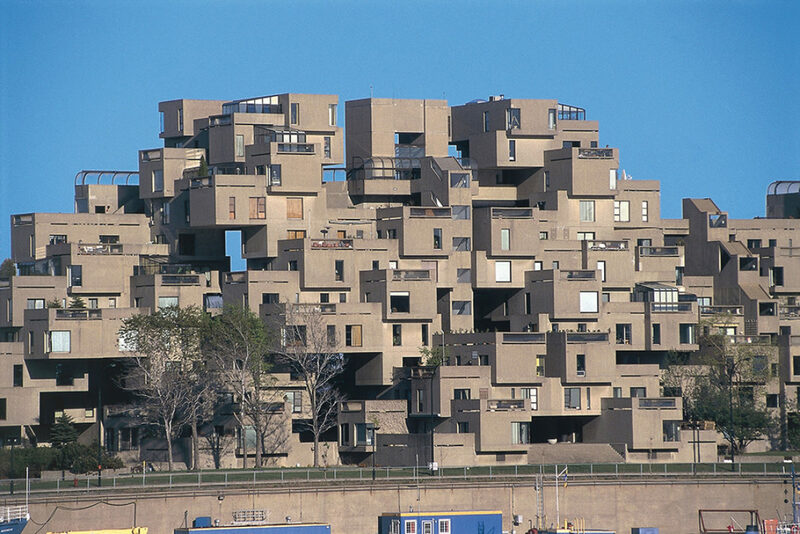 Moshe Safdie's Habitat containerised apartment complex, for example, remains in situ, becoming the model for modular construction. Three years later and the 1970 Osaka Expo, the first in Asia, provided leading Japanese visionaries like the future Pritzker prizewinner Kenzo Tange, the veteran Marxist urban theorist Uzo Nishiyama and their young Metabolist protégés the kind of autonomous space which they had long dreamed of: to apply their ideas for the first time to a complete urban environment which could then become the core of a new city. For Nishiyama in particular, this was a chance to demonstrate his idea of the 'home city', where cars would be left outside much as the Japanese remove their shoes on entering a house, preserving the core or 'Iepolis' as a place of high-density social and intellectual exchange. In the eventual plan for the Expo this became Festival Plaza. 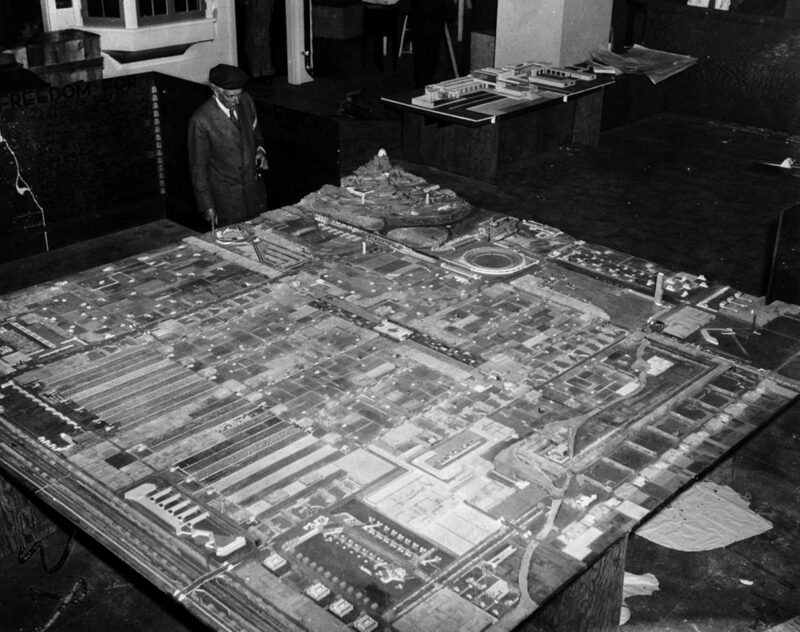 Nishiyama later resigned in protest at the decision to charge the public an entrance fee and the Expo soon degenerated from utopian future city to consumerist funfair, prompting the then editor of the Architectural Review to argue that it should be the last Expo ever (an argument repeated emphatically in response to last year's Milan Expo by the Guardian's Oliver Wainwright). Tange's giant space-frame roof for the Plaza is often cited as modern utopianism's tombstone. Until now, perhaps. New cities are again becoming the building blocks of a reimagined future for a range of reasons, one being demographic pressure; in which case we might as well give them some larger purpose. We certainly need the kind of testbeds and vast social laboratories that new cities – think of Manchester's 'shock city' in the 19th century or Chicago at the turn of the 20th – uniquely provide. New technology also means we are able to design whole cities from scratch and build in feedback and iterative learning like never before. But perhaps our desire for the novelty of building a brand new place is more visceral than that. 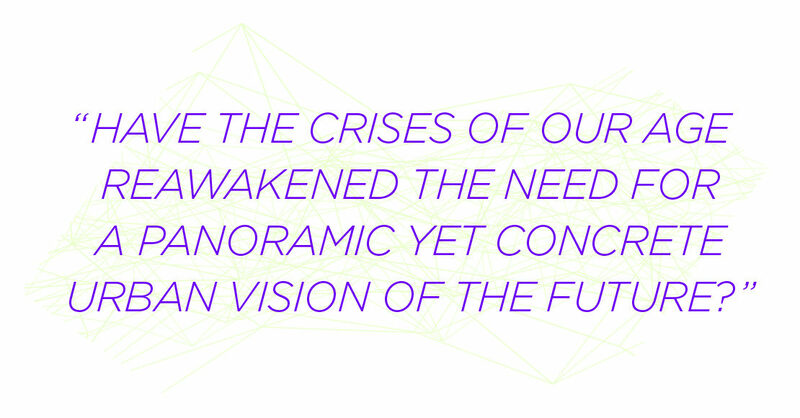 The oil crisis in the 70s may have dimmed humanity's optimism for a while, but have the gathering crises of our own age had the opposite effect, reawakening the need for a panoramic yet concrete vision of the future, a city of our dreams? To paraphrase Oscar Wilde, a gazetteer of cities that does not include Utopia is not worth even glancing at, as it is the one city we are always building.